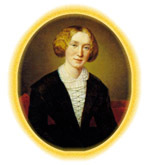 One of the latest developments in the history of ideas is the history and philosophy of science, and its increasing relevance to readers of Victorian literature is evinced by this work There is now a school of thought within George Eliot scholarship devoted to the scientific elements in her work, established by U. C. Knoepflmacher and consolidated by Gillian Beer and Sally Shuttleworth. The use of the philosophy of science as a tool to examine literary texts entails the meeting of two not antithetical disciplines, and offers a new viewpoint on Eliot that is peculiarly appropriate to a writer who was so well versed in the scientific revolutions of her era. Smith examines science as part of cultural discourse rather than as in an antagonistic relation with literature. It is evident that the Leweses were not party to such a dualism, Eliot and Lewes being equally concerned with finding a legitimate basis for knowledge, which involved them in the Victorian debate over scientific method. Smith sees this debate in terms of a revision of Bacon's careful inductive method to fit the needs of an era of expanding knowledge. Now we can recognize that the characterization of nineteenth-century 'scientific method' as one of objectivity is incomplete. Lewes and Eliot sought to legitimize the workings of the imagination in the formation of knowledge. Lewes wrote about hypothesis and the scientific imagination: 'the experiments by which the problem may be solved have to be imagined; and to imagine a good experiment is as difficult as to invent a good fable'. This might be compared with Eliot's description of the scientific imagination in Middlemarch Chapter 16 as 'the inward light which is the last refinement of Energy' . As literature sought to reach the authority of science, scientists moved closer to claiming the use of the speculative imagination. According to Smith, the Victorians regarded science as characterized by its distance from sense impressions. However, the increasing awareness of the subjectivity, and consequently the partiality of the observer transformed forever the paradigms of scientific methodology. Whewell' s criticism of Baconian empiricism that observations are necessarily inaccurate is illustrated in Eliot's concrete metaphor of the pier-glass.